FACT CHECK: Is China's 'Panda Bear Solar Farm' Real? Is China’s ‘Panda Bear Solar Farm’ Real? 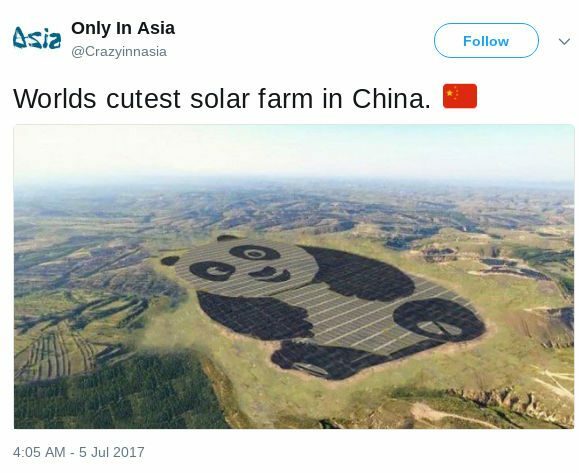 Although a panda bear-shaped solar farm was designed and built in China, an image that appears with the story is not a photograph but rather an artist's conceptual rendering. A photograph shows a panda-shaped solar farm in China. 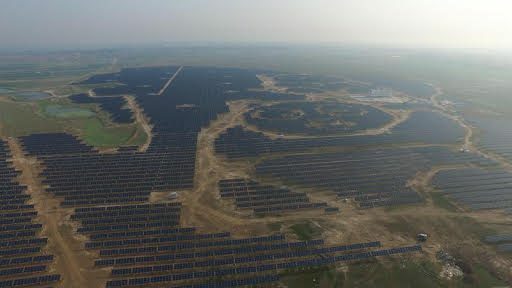 A "solar farm" shaped like a panda bear has been officially connected to the grid in China. The image is not a photograph but rather an artist's conceptual rendering of a "solar panda farm." 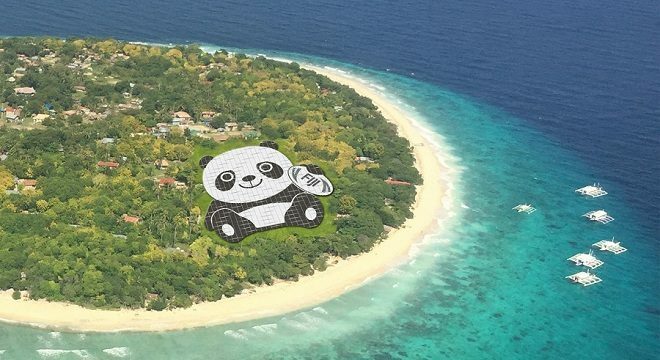 The Panda Solar Stations base their appearance on China’s national treasure – the Giant Panda. The 50 MW power plants cover a total area of 248 acres, with the black part composed of monocrystalline silicone and the grey and white part thin film solar cells. As the future of development, the youth have the opportunity to contribute to world-wide sustainable development. UNDP and China Merchants New Energy will work together to promote and popularize the promotion of new energy through summer camps and open innovation design contests. The initiatives aims to engage the youth of China and assist in developing the future leaders in the green energy field. UNDP tackles the toughest development challenges in the world and are committed to finding the best-fit solutions to those challenges. Innovation has been a key priority of UNDP with ‘open challenges’ providing a platform to encourage innovation. UNDP will organise an ‘open design challenge’ for creative and aspiring youth in China. Using renewable energy as the foundation and utilizing the expertise from China Merchants New Energy, the ‘open challenge’ will provide an unique environment encouraging co-creation which blends design, prototyping, and open-processes, aiming to support the achievement of SDGs in China with practical solutions to the growing need for affordable and clean energy whilst engaging the youth with sustainable development.